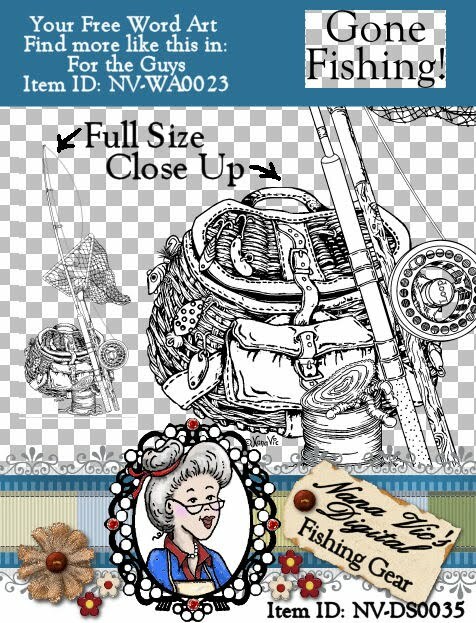 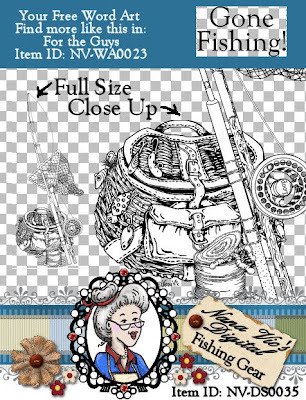 Description: This digital stamp is especially designed for our keen fisherman. 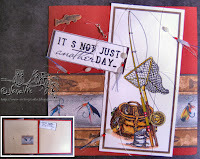 The equipment in this little fishing scene is made up of the lastest loop fishing rod, a net to help catch the big one so it doesn't get away and a fishing creed compete with lures and hooks dangling from it. 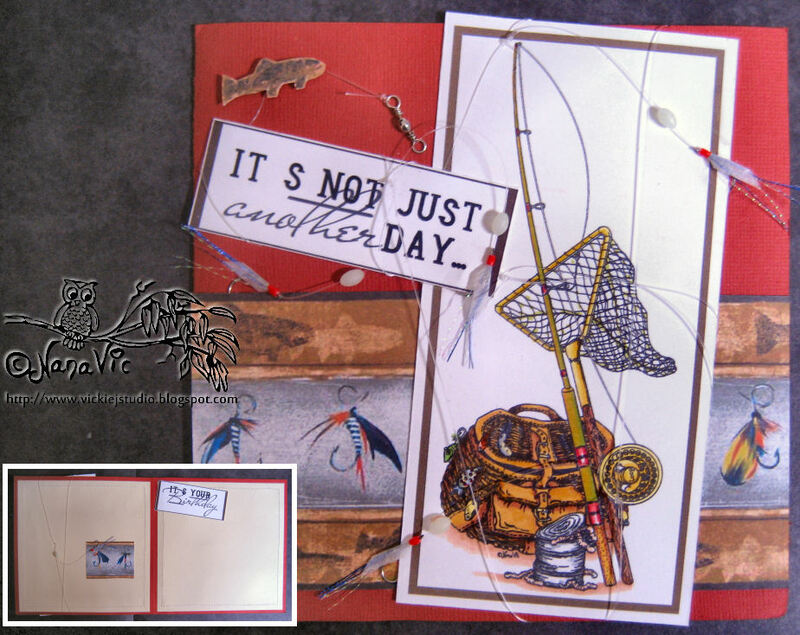 Now everyone knows that freshly dug up worms make the best bait and this little scene wouldn't look right without a full can of worm but you'd better be quick as some are trying to escape their fate.